The world of Death Stranding is inhabited by tons of celebrities, and if this latest rumor turns out to be true, another huge one will be making her way into the game. While creator Hideo Kojima has already mentioned that the game will have a female protagonist of some sort, no one knows exactly who it is. A recent video that dives deep into the casting, however, revealed that the female character in the game might be none other than Diane Kruger. Kruger, a very accomplished actress, was spotted on her Instagram wearing the same motion capture outfit that Norman Reedus wore when he filmed the trailer of the game. There were also some shots in the Youtube video (above) showing Kruger receiving Kojima Productions merch and praising Kojima in a separate picture. Of course, Kojima could simply just be showing Kruger around the studio and the two could be good friends, but given the previous circumstances surrounding actors and Death Stranding, it’s certainly something to keep an eye on, which we’ll make sure to do. 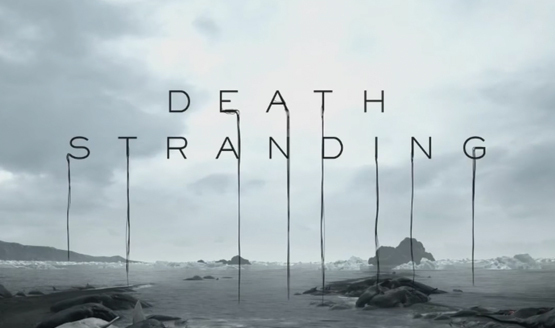 The anticipation surrounding Hideo Kojima’s Death Stranding continues to rise as more and more information is revealed, and now, fans have even more to be excited about. Earlier today, an Instagram post from Emily O’Brien revealed that she and Troy Baker have seemingly joined the cast for the game. The post, which has since been deleted by O’Brien, read “Honored to be working alongside these fine two lads on @Hideo_Kojima’s next project Death Stranding. I’m a lucky gal.” Of course, fans already know Baker from his memorable roles as Joel in The Last of Us, Delsin in Infamous Second Son, and Bioshock Infinite’s Booker DeWitt. O’Brien, an equally accomplished actor, has had credits in Telltale’s Guardians of the Galaxy series (playing Gamora), League of legends (Camille), and even TV roles including The Young and the Restless.